The Diviners as Darlene, Nunsense as Sister Robert Anne, Pride and Prejudice as Elizabeth Bennet, Les Misérables as Fantine. This entry was posted in Articles on July 12, 2015 by Rob Jones. Allyson Nicole Jones wearing yellow Badgley Mishka dress $189, Carolee pearl and gold necklace $125, and Vince Camuto ivory heels. All available at Dillard’s. This entry was posted in Articles on May 1, 2014 by Rob Jones. In 2000, Karen and I decided we needed a new car. I went to Consumer Reports and based my decision on the most reliable compact car. On April 25th 2000, we went to Jeff Wyler’s Toyota of Clarksville and purchased a 1999 Toyota Corolla with 19,889 miles. 12.5 years later (October 7th 2012) it reached 300,000 miles. When we bought this car in 2000, I had a Nextel i1000 flip phone. Gas was $1.50 per gallon. The Los Angeles Lakers beat the Indiana Pacers 4-2 in the NBA finals. The PlayStation 2 was released in Japan and North America. 405 The Movie, the first short film widely distributed on the Internet, was released. We’ve lived in 6 different places since then. I opened my own company, ran it for 5 years then closed it. Our daughter was 3-years-old when we bought the Corolla and now she’s driving it. The Corolla is like a living Time Capsule. This is a big one because we’ve had it for 12.5 years. The majority of the time we’ve owned our Corolla we’ve lived in Southern Indiana north of Louisville, KY. We’ve lost count of the number of trips we’ve made to Indianapolis, Cincinnati, and Chicago. All of the trips listed below were made in our Corolla. It’s been the only car we’ve owned in 12.5 years. In 2003 we had a second car (coupe) for 90 days and a truck totaled it. In 2010 we had a second car (van) and it died after two weeks. Those cars didn’t last long enough to count. January 2002. 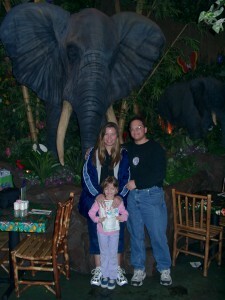 We went to Disney World (Orlando, FL) celebrating our 10 year wedding anniversary (our 1991 honeymoon was also in Disney World; we were married December 31st 1990). August 2010. After the economy killed my business and Karen lost her job we all decided to sell everything, pack the Corolla, and move to California to start over. On the way to Los Angeles we made a few stops. Here they are in order: Austin, TX (stayed with friends for a couple days) – San Antonio, TX (River Walk, The Alamo and Vera Bradley) – Carlsbad, NM (Carlsbad Caverns) – Roswell, NM (for the aliens of course) – Grand Canyon, AZ – Hoover Dam, NV – Las Vegas, NV – Santa Monica, CA (our final destination). Once we arrived, we had to find work as quickly as we could. Los Angeles. While living in Los Angeles, CA we drove everywhere. We saw as many landmarks and tourist attractions as we could. It was one of the most exciting times of our lives. Some examples of major spots/events are: Santa Monica Pier, Palisades Park, Pointe Vicente, Hermosa Beach, Beverly Hills, The Grove, La Brea Tar Pits, Grauman’s Chinese Theater, Hollywood Sign, The Americana, Hilary Duff, Griffith Observatory, Stan Lee, Big Bear Lake and the Pacific Wheel. December 2010. You can’t be this close to Disneyland (Anaheim, CA) and not go, am I right? July 2011. 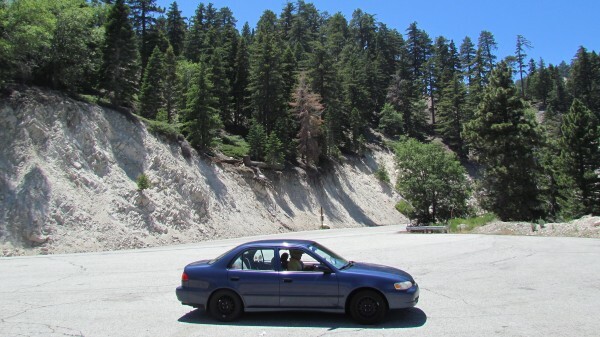 For our 2011 vacation we headed back to Los Angeles with our Corolla headlining the first video. This time we drove through the Mojave Desert and Palm Springs. We also surprised Allyson with a trip to many of the filming locations for The O.C. February 2012. Chicago, IL for Allyson’s 15th Birthday. Blick Art Materials, Pandora, and Vera Bradley. July 2012. 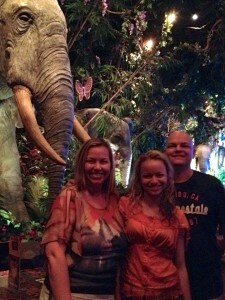 We went to Disney World (Orlando, FL) celebrating our 20 year wedding anniversary. We were in Florida for nearly two weeks and also went down to Miami for the 1st time and over to Cocoa Beach, Saint Petersburg and Clearwater. I just learned last year that our Corolla was built in the Fremont, CA factory which is now home of the Tesla Model S. I feel as though our Corolla knew it came from California and desired to return. My understanding is that Toyota and Tesla are collaborating on hybrid technology. I would like to visit the new Tesla Model S factory. Moving to L.A. had not been as permanent as we hoped. Upon returning to Indiana, Karen started her writing career. Camel Lot: A Misplaced Adventure is Karen’s first children’s book which she began while we were living in L.A. Bermuda’s Triangle: A Misplaced Adventure is her 2nd children’s book. 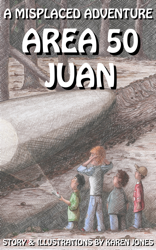 Area 50 Juan: A Misplaced Adventure is her 3rd children’s book and was inspired by our trip through Roswell, NM. Santa Monica: A Misplaced Adventure is her 4th children’s book and was inspired by our time in Santa Monica while living in L.A. Karen’s first novel, My Prior Life, is based on our journeys in our Corolla from Indiana to California, that is until it turns into a psychological thriller. 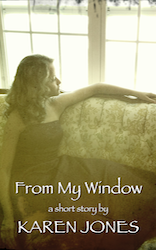 From My Window is a paranormal and her first short story based on a beach house in Santa Monica. Our Corolla has taken us on many journeys that have lead to great memories, pictures, videos and now books by Karen Jones. I’ve been known to drive my Corolla at times when many people wouldn’t or shouldn’t because a Jeep or some kind of four-wheel-drive is required. In 12 years we’ve only spent a few thousand on things that wouldn’t be considered regular maintenance. This has been an excellent car and saved us lots of money. When we lived in Los Angeles it was obvious to me that Prius was becoming the most popular car. Our Corolla has had many different stickers, hubcaps and floor mats. But in all that time there’s only been one Lilo. 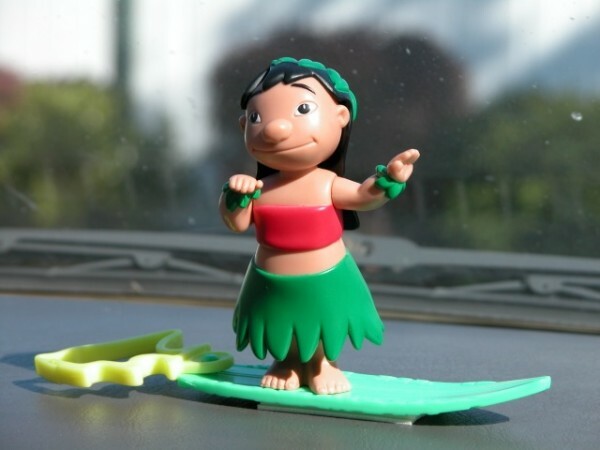 I put Lilo on the dashboard in 2002 and she’s been there ever since. This entry was posted in Anniversaries, Articles, Birthdays, Driving, Stories, Vacations and tagged Corolla on October 7, 2012 by Rob Jones. 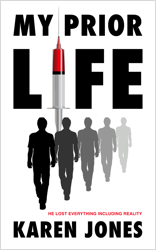 Synopsis for my wife & author Karen Jones’ 1st novel. This entry was posted in Articles on July 22, 2012 by Rob Jones. Full Discloser. I am the author’s husband, her better half, her Muse if men were allowed to bemused. 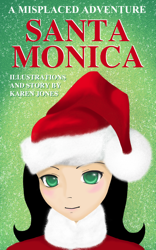 The story is fun, Karen has put together something that parents will enjoy reading to their children. You’ll recognize many historical references which are always fun to read. Children ages 8-12 will be able to read it themselves. 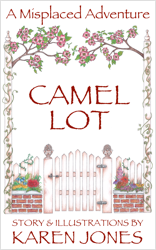 Camel Lot does a great job of speaking to children in an adult way without talking down to them. The artwork, also created by Karen, is beautifully displayed throughout the book. Description: Three siblings, Arty, Lance and Gwen, set off for their Mother’s forbidden flower garden to play. They dream up the grand kingdom of Camel Lot with a courageous king, a daring knight and a princess with a pink magical unicorn. But somewhere else in the garden, trouble is brewing. It’s not their orange tabby, Marlin; it’s the neighbor-boy, Dwayne. P.S. 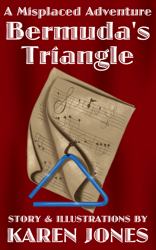 The next book, Bermuda’s Triangle, Bermuda longed to be part of the school band. She tried countless instruments, but couldn’t make any of them produce pleasing sounds. Her parents were ready to give up. Her music teacher was at her wits’ end. But, her friends had an idea. 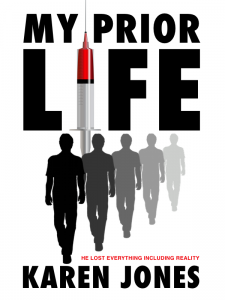 This entry was posted in Book Reviews on June 18, 2011 by Rob Jones. 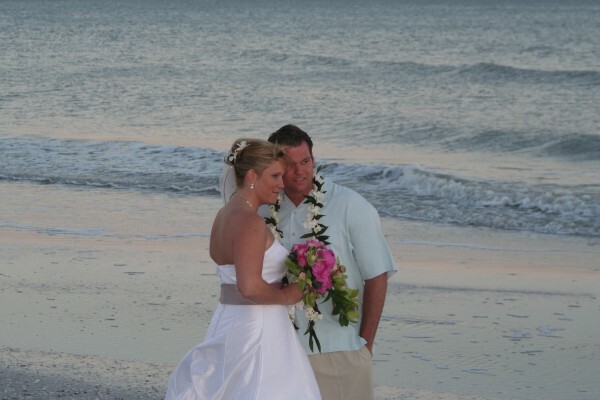 In April of 2006 one of my clients was married and they were transferring their wedding photos and videos to their laptop as often as they could. Shortly after the wedding she called me and said her PC laptop wouldn’t boot. I picked up the laptop and did my best to get it to boot but it wouldn’t. I had determined that the hard drive had failed on some level and wouldn’t mount. I reluctantly informed my client of the bad news. She decided to buy MacBook which I helped her setup and I recovered her iTunes Library from her iPod to her MacBook. A few months later I decided to try again. I put the drive into a laptop and attempted to run Check Disk. This time the drive simply clicked over and over again never getting anywhere in the boot process. On December 20th 2007 I purchased SpinRite, a new utility that I thought might repair her hard drive, unfortunately when booting the PC the utility couldn’t see that the drive was connected. And again I shelved the drive. This month (May 2009) I borrowed a friends PC tower to run SpinRite on my TiVo hard drive because my TiVo was crashing every hour. SpinRite ran for less that 12 hours and repaired some sector problems on the drive. After reassembling my TiVo and putting it back into use I haven’t had a single problem with it. This made me think it was time again to try SpinRite on my clients hard drive. On Saturday morning May the 16th 2009 I was in my work area and decided to put the hard drive in a laptop and run SpinRite. You can imagine my surprise when SpinRite saw the drive even though it was clicking repeatedly. I told SpinRite to Recover the data. I was quite excited to see that SpinRite was trying to repair the drive. I kept going to my work area to check it’s progress. After 12 hours it had finally gotten through about 4 areas of damage or less than 1% of the drive. On Sunday I was excited to tell my wife that it was at 54% and it was actually repairing some of the drive while marking other areas unrecoverable. I was thinking that by Monday I would be able to try and recover the data from the drive after the repair. However, Monday came and went still at 54%. Tuesday got us to 58%. Wednesday was an all 64% day as was Thursday. Friday came and moved us to 65%. One week later, on Saturday we saw 68%. Sunday was the day we saw 69%. Monday came and went without a single change. Tuesday, well Tuesday was the JackPot. I checked on the progress of the drive repair Tuesday morning May 26th 2009. To my surprise SpinRite was finished. Some areas were marked in Red (red is bad) and some areas were marked in Green (green is good) while most areas were undamaged. I removed the drive from the PC laptop and mounted it on my MacBook. And there it was. It would occasionally click when covering a bad area but it would get over it and report an error. Then I was able to move on. I meticulously went through every photo and video attempting to copy them over to my drive. There were the important wedding photos and videos as well as hundreds of other photo and videos. Many times the hard drive would start clicking, I had to wait until it was done about a minute later then move on. After several hours of grabbing hundreds of images and dozens of videos one by one I recovered all but a couple videos a few pictures because they were corrupt. Now I’m going to publish this article and send my client a link so she can read that I recovered her wedding photos and videos from the laptop drive she gave me 3 years ago. This entry was posted in Clients, Stories, Technology and tagged SpinRite on May 26, 2009 by Rob Jones. Yesterday Karen and I were watching the latest episode of How I Met Your Mother. During the “The Bracket” episode “Anna” who thought Barney was Ted Mosby said she had created the website http://tedmosbyisajerk.com/. I immediately paused my TiVo, Karen gave me the look because she knew I was going to look it up and see if it was real (they rarely are). To my surprise the site was real and had a couple of pages including the letter Barney left for Anna and he forgot to sign it Ted Mosby. The site was very funny. Karen and I got a huge laugh out of it. So last night I decided to send an email to the person who registered the site and tell them how much we enjoyed it. Today at 4:28PM my iPhone rang and the display said “Blocked”. I never get Blocked calls so I decided to see who it was. To my surprise is was Carl MacLaren one of the show’s producers and the person the show’s bar is named after “MacLaren’s Bar”. How awesome is that? He thanked me for my kind words and appreciated the fact that I went to the trouble to let them know I enjoyed the website. Then, and this is even funnier, because it’s obvious to anyone who reads my email signature that I’m in IT, Carl MacLaren asked me for tech support. 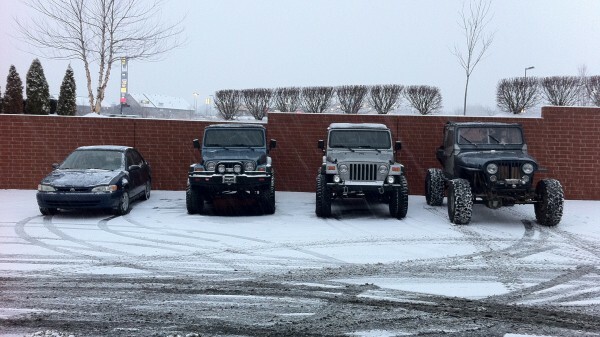 Now that’s cool. Since I am very familiar with the question he was asking I was able to answer it quickly. Carl MacLaren, I want to thank you for giving me a story that no one will ever believe because of what day it is. This entry was posted in Humorous, Television and tagged Carl MacLaren, How I Met Your Mother on April 1, 2008 by Rob Jones.